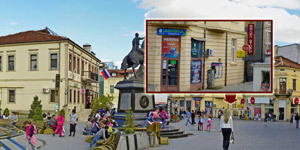 Enjoy the photo gallery of Bitola – the city of consuls. Mariovo is region in south part of Republic of Macedonia. Located near Bitola, you can explore the various regions in Mariovo during the day, while you are accommodated in the center of Bitola during the night. Bitola (Macedonian: Битола) is a city in the southwestern part of the Republic of Macedonia. The city is an administrative, cultural, industrial, commercial, and educational center.